Salsoul Records is a New York based record label that from 1974 to 1985, released about 300 disco twelve inch records and a string of albums. They put out the first commercial twelve inch, Double Exposure's Ten Percent (1976), an early remix by Walter Gibbons. New York's Salsoul Records was created and financed by three brothers who had already independently established their mark in the business via their expertise in the Latin-American music market. Joe, Ken and Stan Cayre have a world-wide reputation for running a tight ship, so it seemed inconceivable that they would gamble on traditional music business areas like artist development, national distribution, promotion etc. etc. In all, we're talking too expensive, too risky and a probable loser IN THEORY. But somewhere along the line legendary Afro-Filipino musician Joe Bataan must've zapped the Cayre brothers with his sizzling version of Gil Scott-Heron's dancefloor anthem "The Bottle". Plus, being a red hot muso, he was probably bubbling over with enthusiasm over his description of a new sound - a natural fusion of South America's historic rythms, infectious feel and hot temper - Salsa, together with North Amerca's most unique legacy and consistent export - Soul. Salsa and Soul - Salsoul. Geddit! Anyway "The Bottle" hit big, Salsoul was born and the rest is dance music history. -- Ian Dewhirst, 1993, sleeve notes to Mastercuts Salsoul compilation. Philadelphia Philly soul was primary a producer's medium, which took its logical conclusion with the Salsoul sound. MFSB highlight is Love Is The Message. Salsoul released the first commercially available twelve inch record, followed by some 300 more twelve inches and LPs. A tremendous output, many of which are among the very best disco releases. Specific releases to hunt down are Jocelyn Brown's 'Ain't No Mountain High Enough', a true classic with an incredible keyboard work-out and Walter Gibbons's mix of 'Hit And Run'. Also exceptional - and all but forgotten - is 'Bumblebee Rap' a favourite of Todd Terry .Towards the mid eighties, Shep Pettibone was commissioned to revive the old Gold Mind Rochelle Fleming and Loleatta Holloway tracks. These have been sampled in both Frankie Knuckles and Steve 'Silk' Hurley early house recordings. [the bassline of 'Jack Your Body' was 'Let No Man Put Asunder']. Labels like Salsoul, West End and Prelude succesfully survived the disco backlash. Instant Funk were a 1970s disco band, best known for their disco classic "I've Got My Mind Made Up C'Mon". Instant Funk came out of New Jersey consisting of Raymond Earl, Scotty Miller and guitarist Kim Miller. The group was then called The Music Machine and they were very successful as a backup band for The Manhattans, Bunny Sigler and also the TNJs. Throughout their careers, Instant Funk would be the backup band for tons of stars, including Lou Rawls, Loleatta Holloway, The O'Jays, MFSB, Curtis Mayfield and Evelyn Champagne King (they are the backing band on the classic disco hit "Shame"). The group relocated to Philadelphia in 1976 to release its first album "Get Down With the Philly Jump" as they started to formulate their own sound. The group followed this album up with a release for former MFSB guitarist Norman Harris' new label Gold Mind, with front man Bunny Sigler entitled "Let Me Party With You". The Gold Mind label folded, and Instant Funk's new cut "I've Got My Mind Made Up" was transferred to the Salsoul label, which pushed the record heavily to all of the disco clubs. The remix of this song by club DJ Larry Levan quickly became the talk of Manhattan. First Choice Title: 'Let No Man Put Asunder' [.... it's not over...over.... ], flip the record over and listen to the Frankie Knuckles mix. Surprised? 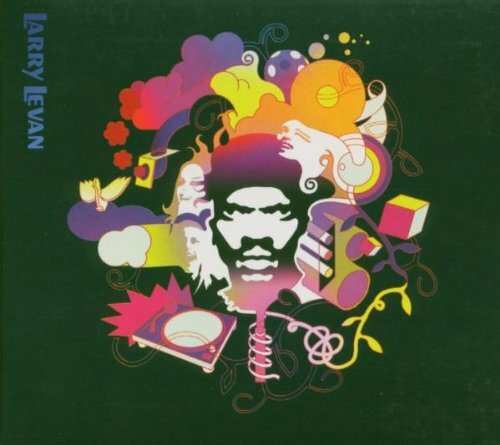 Apart from remixing a dozen or more Salsoul tracks, he also did a compilation of his Salsoul mixes: Larry Levan album on Salsoul It can be viewed as the first whole album concept where the DJ/(re)mixer got top billing over the original artist. It was orginally released as a two 12" promo-pack, and it was mixed by Levan in December 1978. Furthermore, Larry remixed the classic 'Ain't No Mountain High Enough', which features an incredible synth work-out. Walter Gibbons In the mid-'70s, the originator of the commercial 12-inch single began mixing dubby beats and adding effects to early disco singles for the Salsoul and Gold Mind labels. Loleatta Holloway "Do you want me to come downstairs with rollers in my hair? ", "Love Sensation (it's such a good vibration, it's such a sweeeeet sensation)", "I'm gonna dis you right now!" Shep Pettibone Shep did the mixing during the final days of Salsoul. Highlights include "Seconds", "Love Sensation", "Let No Man Put Asunder"
Earl Young Check his great four on the floor drum style! Quality sleeve notes with liner notes by Ian Dewhirst. All mixed up by Larry Levan, featuring Instant Funk, Loleatta Holloway, Jocelyn Brown, Aurra, Jimmy Castor Bunch, Skyy, Inner Life and more. 19 tracks packaged in double gatefold digipak. Salsoul. 2003.